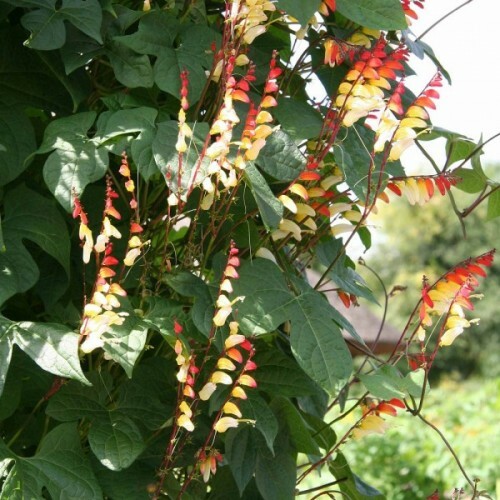 One of the most beautiful annual climbing plants.It forms thick green flowering walls on climbin.. Native to Mexico and Central America, common morning glory is a warm weather annual twining vine.. Flamboyant, striped blooms with all the colour and spectacle of the Venice Carnival. 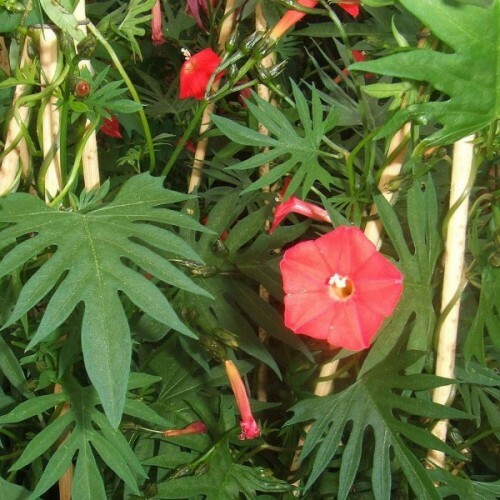 Excellent f..
Prized by gardeners and by hummingbirds for its summer-long display of bright red tubular flowers with flaring lobes, this annual twining vine is native from Mexico to South America and naturalized throughout the tropics. The ferny compound leaves are also attractive. Easily raised from seed, Cypress Vine thrives in well-drained soil in sun. Train it up a fence or patio-side trellis, thread it through a shrub, or use it in a hummingbird garden. Approximately 20 seeds in 1g packet. Sow seeds in spring in the end of March - April inside in pots, or directly outside after he last frost. Sow 2-4 mm deep in wet soil. Keep moist. Germinates in 1-3 weeks at +18-+22C. A cottage garden classic, foxglove is a short-lived perennial (commonly listed as a biennial) th..